It seems obvious, we know, but it’s a common question people are asking via Internet search engines. And it’s a question we are asked by customers when they are looking for a glue gun from our range. These guns are often referred to as High Temp and Low Temp glue guns. They have fixed settings 195°C for high temp guns and 130°C for low temp. In some cases (for example the Tec 820-12 and Tec 820-15), these glue guns have adjustable temperatures, from low to high melt. 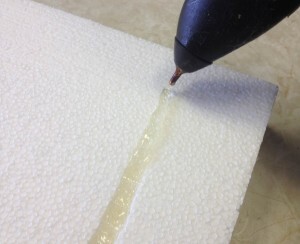 Low melt glue guns are safe and easy to use. They carry a reduced risk of burns due to a lower temperature and are commonly used for bonding heat sensitive materials, arts and crafts and schools. We have even seen a customer apply a low melt adhesive (Tecbond LM44/12) directly to an inflated balloon without the balloon popping! Down side: restricted glue formulations. There are Glue Sticks called Multi-Temperature Glue Sticks that work in either Hot or Low melt glue guns. 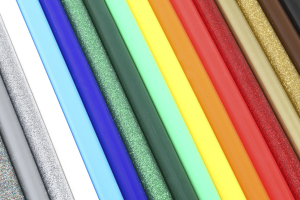 Clear glue sticks, coloured glue sticks and glitter glue sticks are available with the range. These glue sticks are based on the Tecbond 240 glue formulation and offer a greater range of adhesion to substrates such as wood, ceramics, light gauge metals and many plastics, such as rigid PVC, polystyrene, ABS and acrylic.